for winning a copy of Coyote Moon!!! Wednesday: Student Survey: Are Classroom Libraries Beneficial? As promised last week, I couldn’t resist reading the new Harry Potter book. I didn’t know what to expect from The Cursed Child, but I hoped to be swept back into Harry’s world, and I was not disappointed. Although reading a screenplay is so different from reading a novel, by the end of the first Act, I was all in and couldn’t stop reading. I love that the play explores the character’s weaknesses and love and friendship. I love that the play is accessible for those who may not have read the other books. I love that I could go visit Hogwarts again. I love that Scorpius is such a wonderful person. I love that the story is still about goodness and strength and hope. 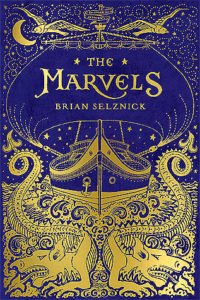 The Marvels by Brian Selznick was my Big Book of Summer (hosted by Sue at Book by Book). Brian Selznick is brilliant at what he does. 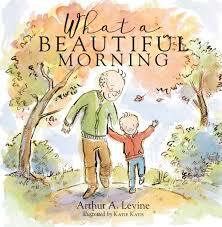 He has perfected the ability to intertwine the magic of wordless picture books with prose. Each of Selznick’s books that have mixed wordless pictures with prose have been set up differently (Hugo Cabret used pictures to enhance the story, Wonderstruck told one story in words and one in pictures), and Marvels was no different. The first 400 pages of the book are a tragic story of a world famous family of actors starting in the 1700s. We are then transported to the 1990s and meet Joseph who has run away to try to find a place where he is accepted. About halfway through Joseph’s story you learn how the words and pictures connect, but it isn’t until the end until each story is concluded. Beautiful! I love taking Trent to the library and letting him pick out his own books to bring home and read. These were his choices from the last time that we went. We’ve had them for a few weeks, and he has been browsing them and reading them to himself, but this week we sat down and read them all together. I love how engaged he gets with books (well, the ones he likes) now. He asks so many questions! In I’m Not Sleepy by Jonathan Allen he was trying to distinguish between the owls and the woodpecker then between the mom owl and the dad owl. 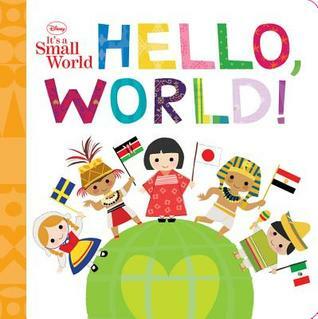 In Hello, World! he said every translation of “Hello!” that I said. 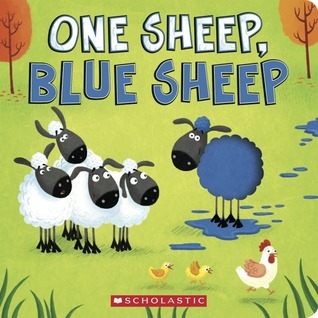 Emma by Paola Opal and One Sheep, Blue Sheep by Thom Whiley were a lot of counting and colors. 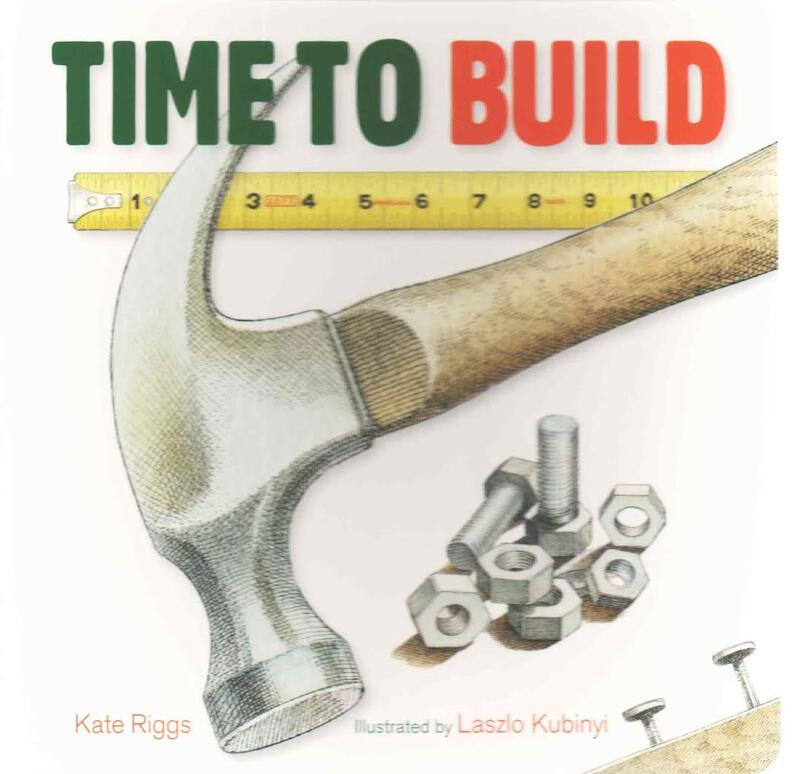 And Time to Build by Kate Riggs took the longest because he was so interested in every tool it talked about as well as what a tree house was. We also got some new books! Trent definitely is the happiest when playing with cars, trucks, or trains (or talking about them or reading about them), so we got some new books that he loves as much as I hoped he would. First were two train books. 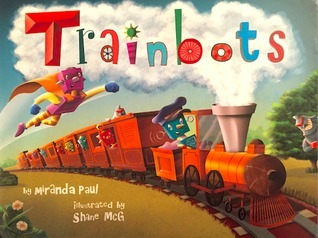 Trainbots Miranda Paul was introduced to me at ALA, and I knew he would love it. We read this at the ENT on Thursday. 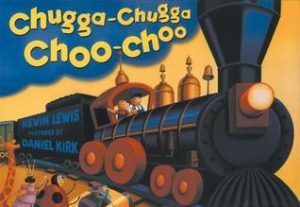 Chugga-Chugga Choo-Choo by Kevin Lewis was inspired by Chelsea Clinton. I not only love the story she told about it, but I also knew Trent would love to read it and make the train noises. 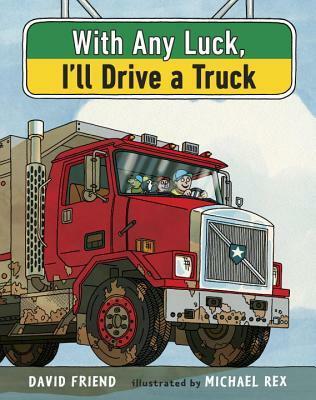 We also got two truck books. How to Track a Truck by Jason Carter Eaton became an instant favorite. 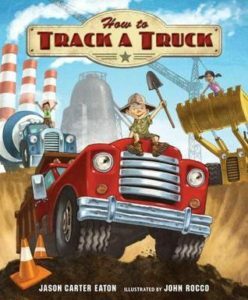 It is about tracking a truck to become your pet. It is so clever, and I love the illustrations by John Rocco. With Any Luck I’ll Drive a Truck by David Friend is a truck fans dream! These two books are must haves if you have (a) vehicle-obsessed kid(s) like mine. It’s a good thing you have Kellee this week! I spent the week transcribing my interviews for my dissertation. I am really excited that I am almost done with this stage. I’ve spent over 100 hours transcribing this summer, so my head is full of good information that I am excited to report about multicultural young adult literature. 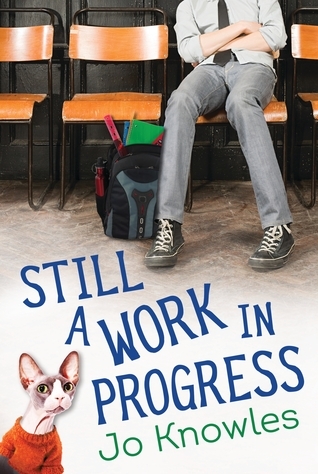 🙂 I did make some progress on several of the books I am reading, but I didn’t finish any! 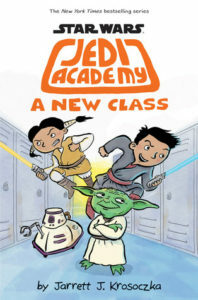 It preplanning at school, so I am not sure how much I am going to get read, but I will start listening to audiobooks on the way to work again. I am not sure what one I am going to start with. My GOODNESS this book (Knockout Games) is good. I started listening to it on audio. I am about 3/4 of the way through, and I am hooked. This is my first G. Neri book, and it won’t be my last. I am savoring Kids of Appetite by David Arnold. It is such a fabulously written book. I am really looking forward to writing a full review. 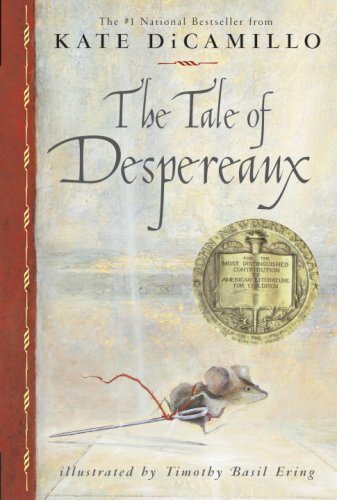 Henry and I made it halfway through The Tale of Desperaux by Kate DiCamillo. I think I may have hit a roadblock with him because he wants more pictures. He promises me that we can read more tonight, but 2.5-year-olds aren’t exactly consistent. Cross your fingers for me. 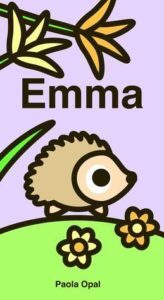 Monday PM: Special Amelia Elizabeth Walden Award Announcement! I think I need to read The Cursed Child and that new David Arnold book. 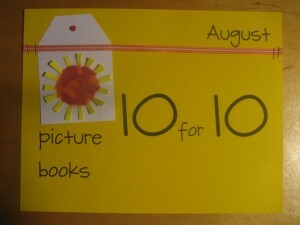 Thanks for all the books for younger children, Kellee. I have favorites, but it’s good to see some new titles. Have a great week you all! Yes, please read it! It is fantastic! Kellee, it looks like you and Trent have had a fabulous reading week. I swear I must be the only person in the world who is not crazy about Harry Potter. Someday baby I will give them another try. Her wrong for audiobooks! I just finished Turtle in Paradise. 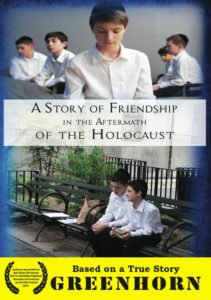 If you haven’t read that one it is great as an audiobook. Ricki, I’m glad the transcribing is almost over. When I worked on film about what teacher librarians do, we ended up paying someone to transcribe the interviews. 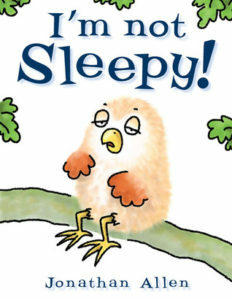 Just reading the pages and pages of text was exhausting! I think a lot of us had to read The Cursed Child! The Marvels was interesting, but like all Selznick books, I find myself asking “If this didn’t have pictures, would kids pick this up?” The stories are always rather odd. I remember reading The Borrowers to my daughters when they were very young, and they could sit still for that. And oddly, The Five Little Peppers and How They Grew, but normally picture books were easier to get through! I love Selznick’s writing. I guess I haven’t ever considered what they’d be like without pictures because the pictures are woven so deeply into the story. It would be like considering a graphic novel without the artwork, for me. It’s an interesting thought! You got me thinking! The Cursed Child is such an interesting story! Even though it is a bit different, I think it is an interesting addition to the HP world. Archon,book 2 of the Psi Chronicles.I loved Freakling and am hoping Archon is as good or better. Sounds like we picked a similar theme for #pb10for10. Looking forward to comparing picks! Kellee, you have a vehicle obsessed kid? I had no idea! Hee hee! I’ll let you know my thoughts on HP once I’m home and I get it. Ricki, I’m looking forward to Kids of Appetite. It’s on my TBR already, glad to know it’s good! Thanks for the copy of Coyote Moon! I’m looking forward to it. And I can’t wait to see your 10for10 list. That sounds like a much needed list. I adored it. It is such a thought-provoking book. I hope you enjoy it, too! 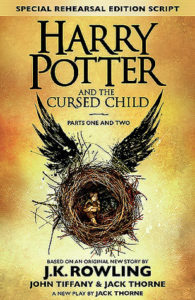 I haven’t gotten my copy yet of A Cursed Child, but I am looking forward to it. I was so excited when I went to by garden plants and the girl who checked me out was reading it. Congrats on finishing your Big Book, Kellee! 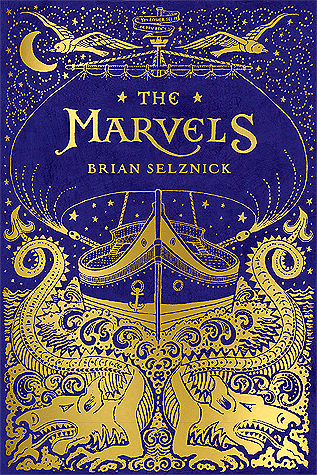 The Marvels is one of MY Big Books for this summer, too – I hope to squeeze it in later this month! Can;t wait – I absolutely loved Wonderstruck. Good luck with Tale of Desperaux, Ricki! I need to tackle a Big Book still! I just finished one that is 350. Darn. I just missed it! This dissertation is cramping my style! I still need to read Chugga Chugga. I’m a sucker for public book recs! I need to grab Chugga Chugga. I had never even heard of it before Chelsea Clinton’s speech. That was a lot of reading Kellee! I’m also posting about The Memory of Things this week. So excited that All American Boys won the Walden Award. Can’t wait to hear Jason and Brendan speak at ALAN! I need to get my hands on a copy of Chugga Chugga Choo Choo. My library doesn’t have one, unfortunately. I am so excited, too! That book rocks my world. 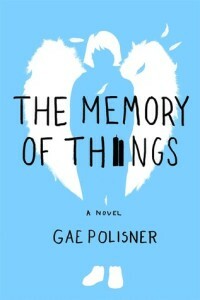 The Memory of Things was a fun post to write. That book is fantastic! All American Boys is genius! So exciting! 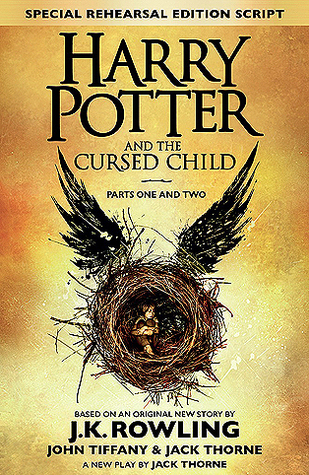 Kellee – we bought The Cursed Child and my daughter quickly made off with it! One day I might get to read it! Ricki – congratulations on being close to being done a certain stage. It will feel so amazing when you are totally finished! What an accomplishment. Thank you for your review of The Cursed Child. I’ll admit to being a little hesitant to try it. I love that the themes are goodness and strength and hope. We could all use more of those themes right now. Hi Kellee, loved seeing Trent’s choices! Kids grow up soooo very quickly! Thank you for sharing his book choices!